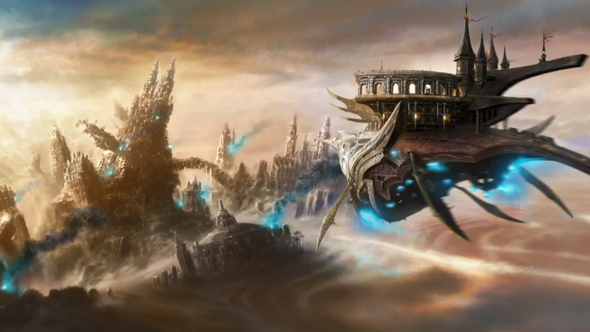 The upcoming 4.1 patch for Final Fantasy XIV has all sorts of new content and updates, but nothing has set fans to speculating quite like the announcement of the “Return to Ivalice” raid. Not that the addition of another 24-person raid is unusual, but the promise of returning to Ivalice, the setting that defined some of the biggest fan-favorite moments in the series, has certainly built some buzz. That’s even more true with the revelation that Yasumi Matsuno, director of Final Fantasy Tactics, Vagrant Story, and the bulk of Final Fantasy XII, is returning to write the story for the first wing of the new raid, “The Legend Returns.” Matsuno left Square Enix during Final Fantasy XII’s famously troubled development, making his return for even a small part of new raid very exciting. This info comes thanks to Square Enix’s recent 14-hour livestream celebrating the fourth anniversary of the MMO’s relaunch, and that wasn’t the only revelation about the 4.1 update. There will be new main and side-quests continuing past the Stormblood expansion, a new instanced dungeon, a host of miscellaneous updates, and some ultra-high level content under the “Ultimate” moniker. The update is scheduled to hit in early October. With Square and Matsuno apparently having made up, now’s the time to start asking if we can get a proper sequel to Final Fantasy Tactics. Come on, Square Enix. XCOM totally primed the pump for modern audience to enjoy turn-based tactics again.